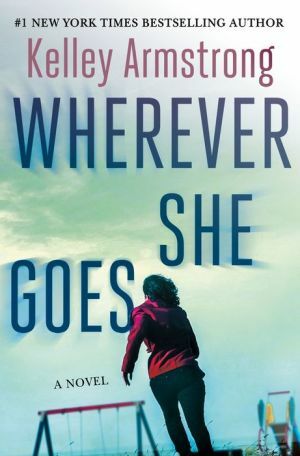 From New York Times bestselling author Kelley Armstrong comes a brand new psychological thriller about the lengths one woman will go to in order to save a child. That’s what the officer tells single mother Aubrey Finch after she reports a kidnapping. So why hasn’t anyone reported the little boy missing? Aubrey knows what she saw: a boy being taken against his will from the park. It doesn’t matter that the mother can’t be found. It doesn’t matter if no one reported it. Aubrey knows he’s missing. Instead, people question her sanity. Aubrey hears the whispers. She’s a former stay-at-home mom who doesn’t have primary custody of her daughter, so there must be something wrong with her, right? Others may not understand her decision to walk away from her safe life at home, but years of hiding her past – even from the people she loves – were taking their toll, and Aubrey knows she can’t be the mother or wife she envisions until she learns to leave her secrets behind. When the police refuse to believe her, she realizes that rescuing the boy is up to her alone. But after all the secrets, how far is she willing to go? Even to protect a child.